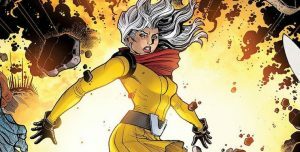 Marvel Comics Legacy and Avengers #684 Spoilers for No Surrender Part 10 follows. No Surrender Part 10 Unveils Voyager’s REAL History Including Her Surprise Dad Plus The Incredible Immortal Hulk’s Return? 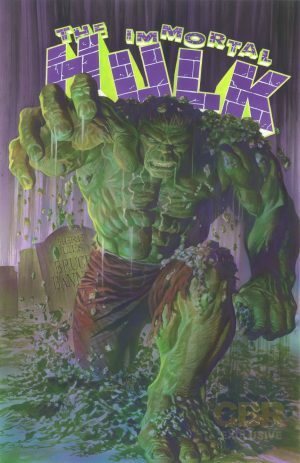 This book is hyped as the return of Bruce Banner who will headline a new fresh start Marvel series called the Immortal Hulk. 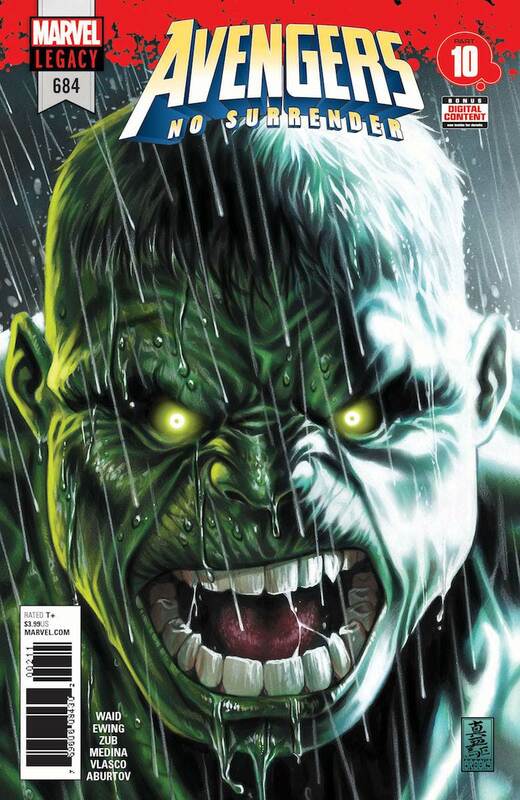 However, this issue also reveals Voyager’s true origin including who her father is. Over the course of No Surrender series, we learned about Voyager’s alleged secret history in Avengers #676 (full spoilers here) including her alleged alter ego of Valerie Vector in Avengers #681 (full spoilers here) including the revelation about her alleged super-powers in Avengers #677 (full spoilers here). 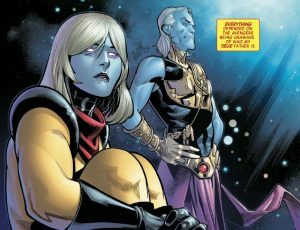 Last issue in Avengers #683 (full spoilers here) a recovering Jarvis, the Avengers’ institutional memory, revealed Voyager was a fake and their memories of her as founding Avenger aren’t real just as she steals a pyramoid in the game between the Grandmaster and Challenger. 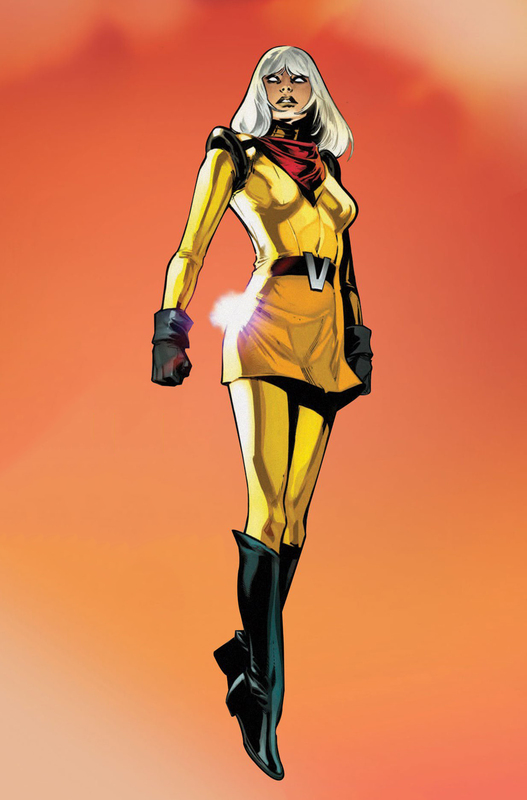 Well, in Avengers #684 we learn that she isn’t even human! 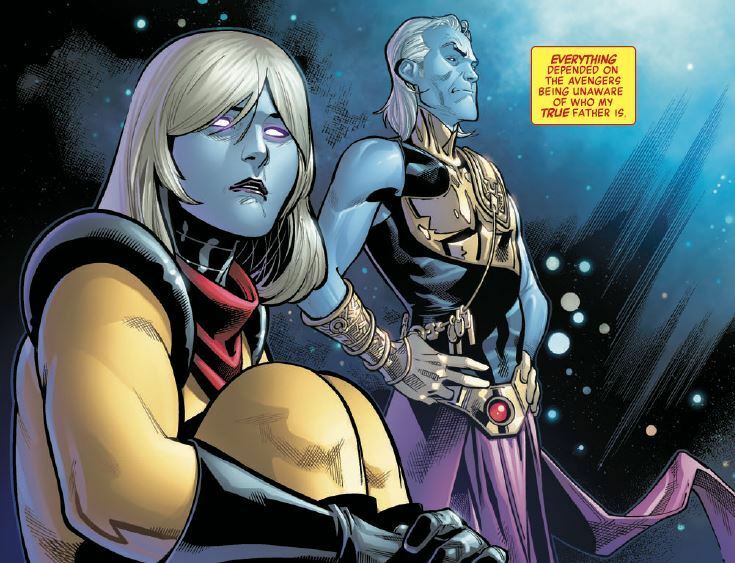 She is the daughter of the Grandmaster making her an Elder and niece to the Challenger?